A collection of 35 simple-to-perform games based on elements of improvised theatre. These games use a blend of comedy, acting, physical movement, language, and - above all - fun. 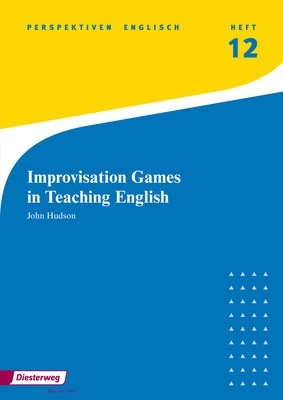 They have been specifically designed for English teachers with no previous experience in improvisation, and for students of all ages and levels of English. These games focus on improving students' ability to speak freely without inhibition, as well as their listening skills. Some games are more suited to pairs or small groups, while others can be performed as a whole class. 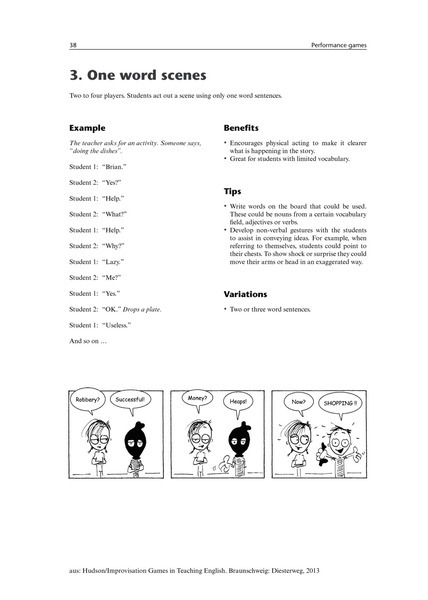 Games are explained step by step with example dialogues and are easy to put into practice. Improvisation is particularly effective in improving students' self-confidence when speaking another language - something which is difficult to deal with in the classroom. Improvisation techniques prove to be very efficient in overcoming language barriers and in integrating speakers of foreign languages in the classroom.